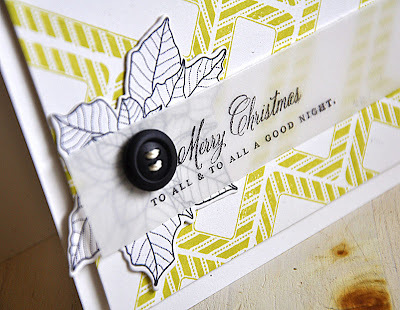 Hello and welcome to the fourth day of the Papertrey Ink September Countdown and the first Design Team group post. 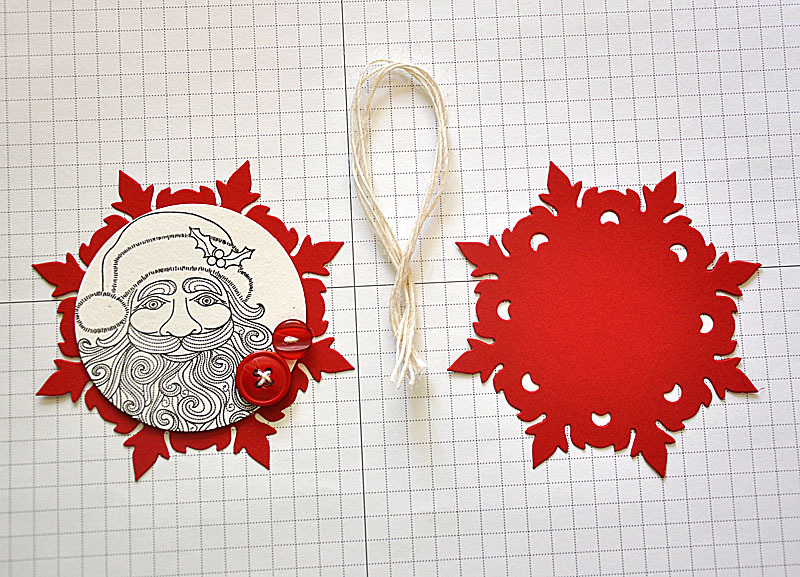 Today's post is all about the new Christmas sets... Santa Stationery, by Nichole Heady. Head on over to her blog for all the details about this fun set. First up a cute "Nice List Declaration" certificate. My son loves to get mail and packages. I can just imagine the huge smile on his face when a letter comes in, a couple days before Christmas, from Santa himself. Here's a shot of the certificate cover. Stamped the Santa in the new Limeaid Ice ink, a very pretty color! 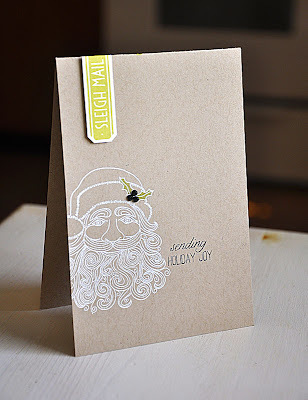 The inside... which I personalized using the Simple Alphabet stamp set. 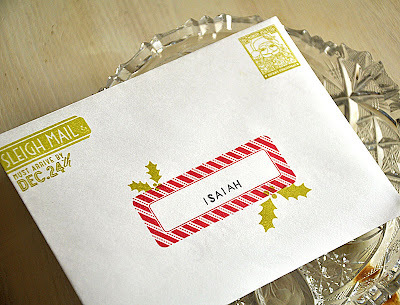 Wouldn't be complete with out a coordinating personalized envelope. 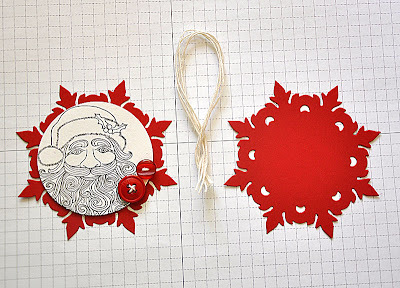 The holly images are from the Holly Jolly stamp set and the rest are from the Santa Stationery stamp set. 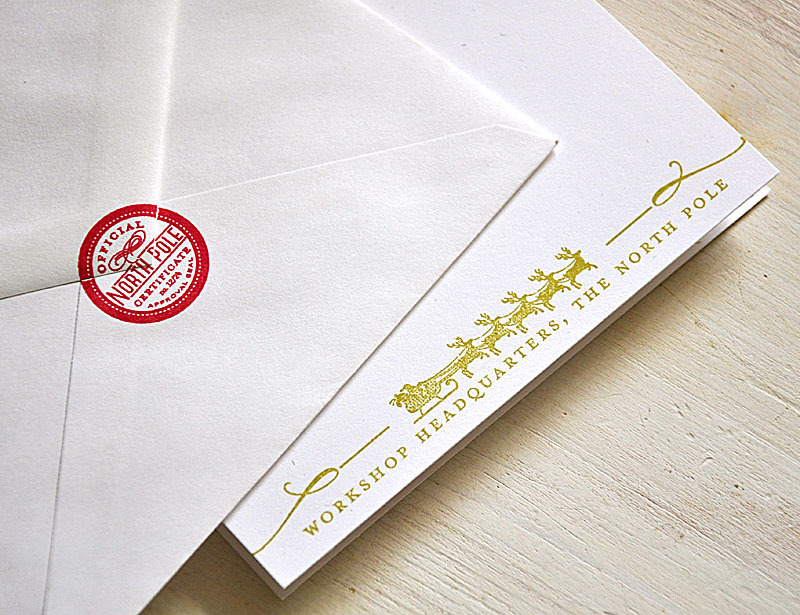 I even added a little detail to the backside of both the envelope and certificate. 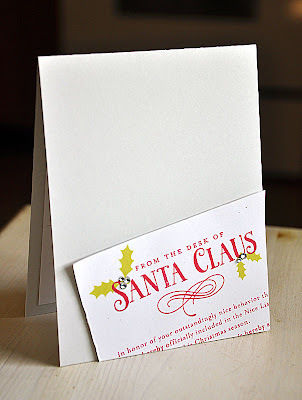 Next up, a card application. 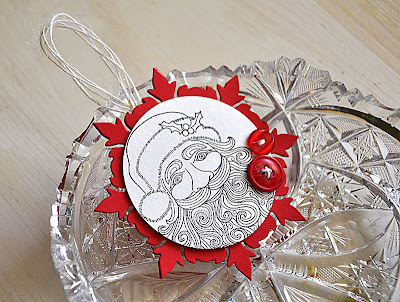 I stamped and embossed the Santa using white embossing powder. Then stamped, trimmed and attached a Santa Stationary "Sleigh Mail" tab. 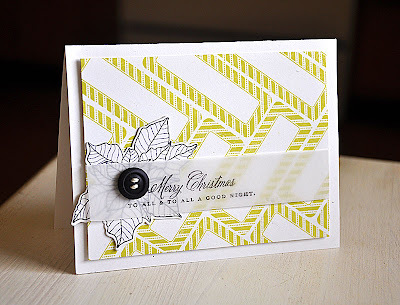 Finished the card off with a touch of green Copic marker, rhinestones and a sentiment (from the new Framed Out #8 stamp set) I just love how this sentiment pairs so well with the tab. Nothing like a little official Santa letterhead to dress up a simple Christmas card. To mimic the look of a letter, I stamped the text from the "Nice List Declaration" certificate just under the "... Santa Claus" letterhead. Stamped a little holly and embellished with rhinestones. 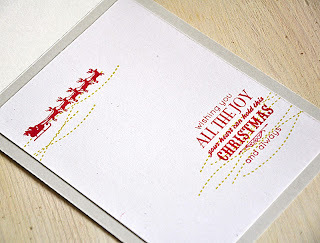 The inside features a little personal Christmas note (sentiment from the new Happiest of Holidays stamp set). Using the label image, included in the Santa Stationery stamp set, I stamped a gorgeous and very large herringbone pattern. I can't wait to try this out again using other rectangular images! 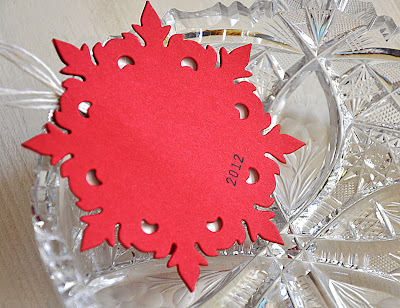 Stamped the sentiment (also included in the same stamp set) onto a strip of vellum and attached it over a black poinsettia (Year of Flowers: Poinsettia stamp set). A Little Tip: Everything is held together with a small amount of adhesive just under the button. Keeps it all nice and hidden. 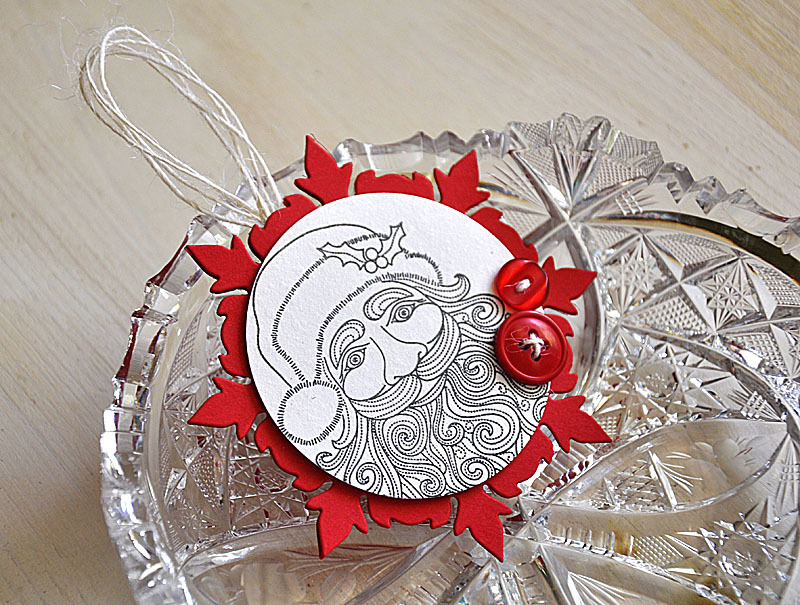 Couldn't help but turn this adorable Santa into an ornament! Stamped him onto a punched circle and attached to a die cut Pure Poppy snowflake. A Little Tip: This would look great as a tag too! 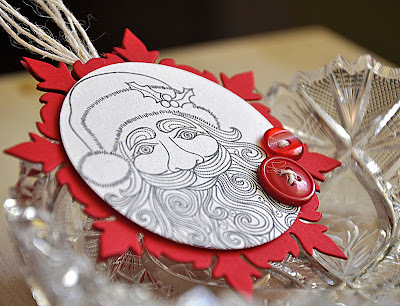 Added a touch of shimmer to the Santa circle using some Studio Calico shine mist spray. It's a little hard to see, but if you enlarge the photo you can take a closer look. 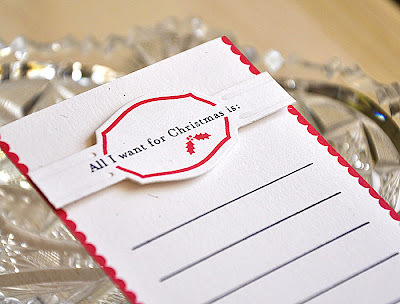 Last but not least, I whipped up a quick Christmas gift wish list for the kids. Pulled out the Holiday Photo Finishers stamp set and coordinating strips dies for the label at the top. 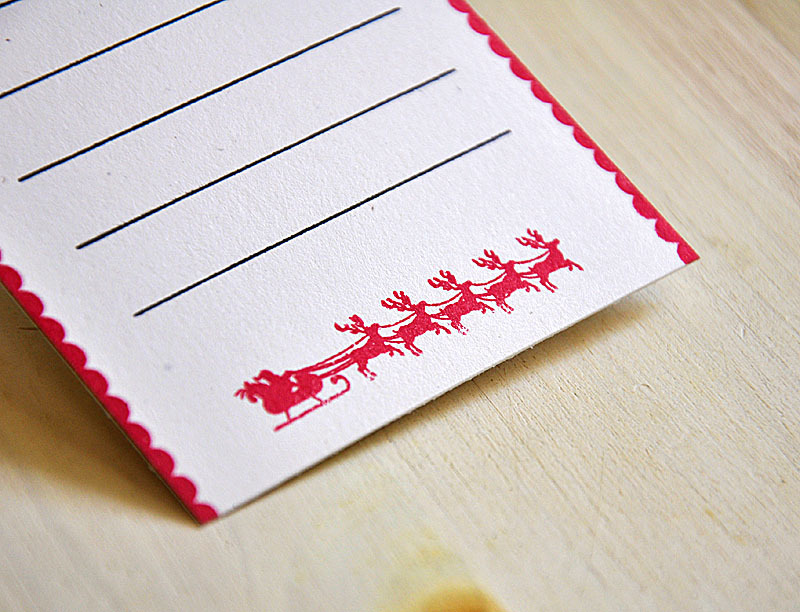 The tiny holly is from Framed Out #8 stamp set. The scalloped border and lines are from the Gratitude Journal stamp set. 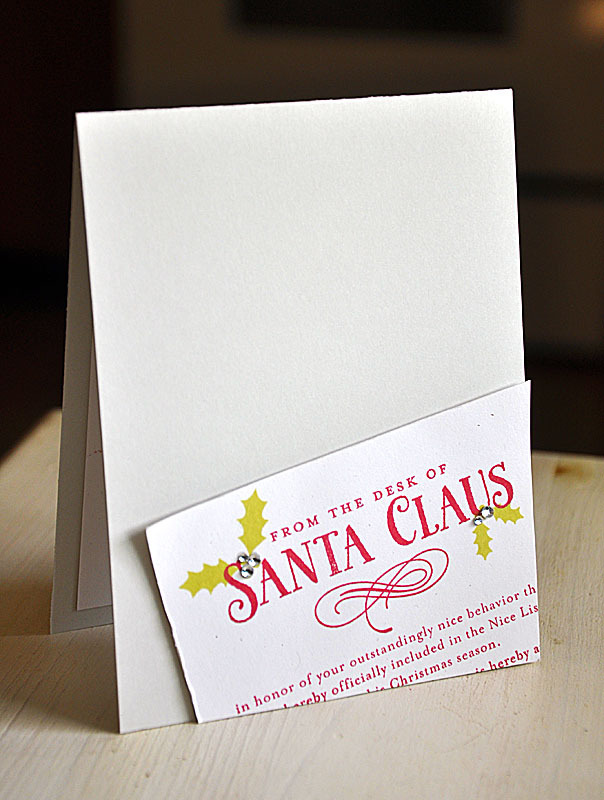 With a little bit of Post-it Note stamp masking (using the same image as on the backside of the certificate featured at the top of this post), I finished the card off with Santa and his reindeer. Wow! 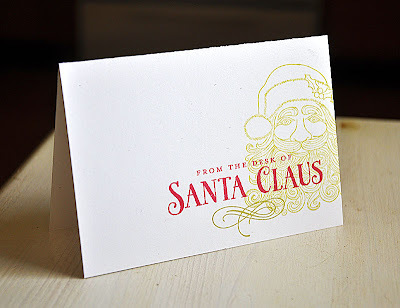 Santa does have the best handwriting of any person I know. Great job on all of your projects. Aren't you the clever one, the herringbone rectangle is amazing! You were one busy gal! Love the creative BG with the label stamp. 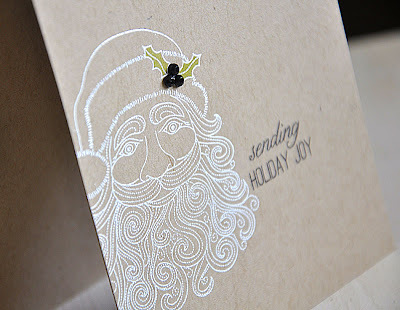 Beautiful cards & projects. 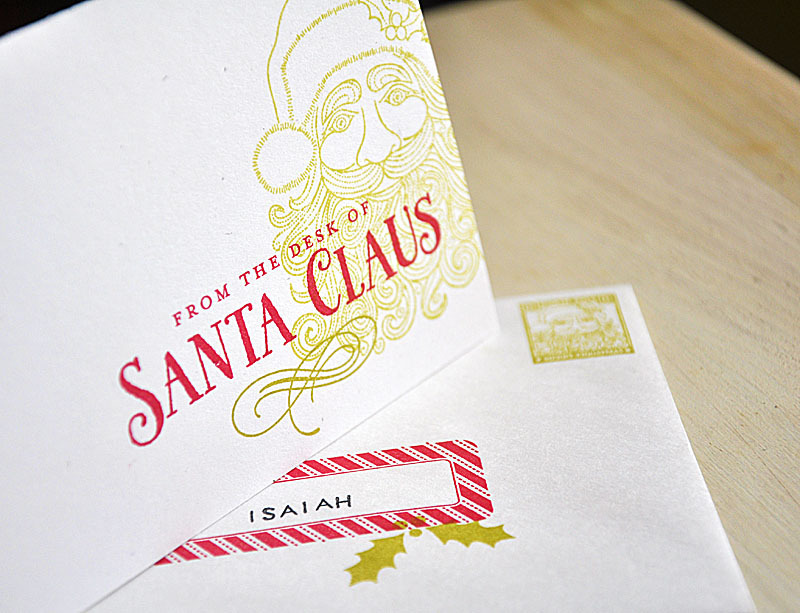 Love the Santa mail you'll give your son. Your projects are awesome. I especially love the CAS card with the embossed Santa. I just love your style. Thanks for the inspiration. Boy this hop just gets better and better. 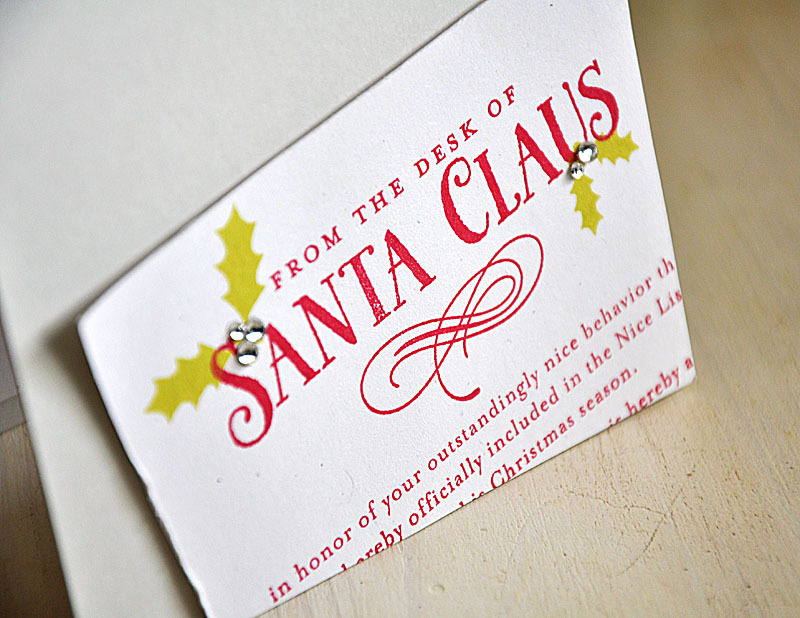 Love the cards, the ornament, the list and that certificate just knocks me out. Your awesome. Impressive. Thanks for sharing your talent. 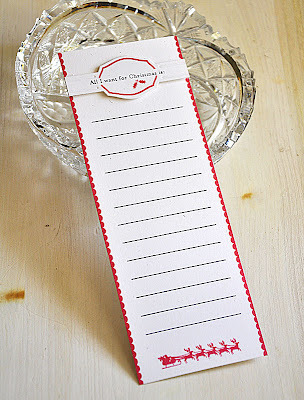 Love your "clean & simple" look! Just beautiful! Oh!!!!!!!!!!! Those are adorable! 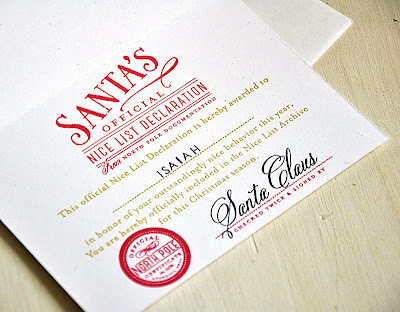 I love the Nice List Certificate!